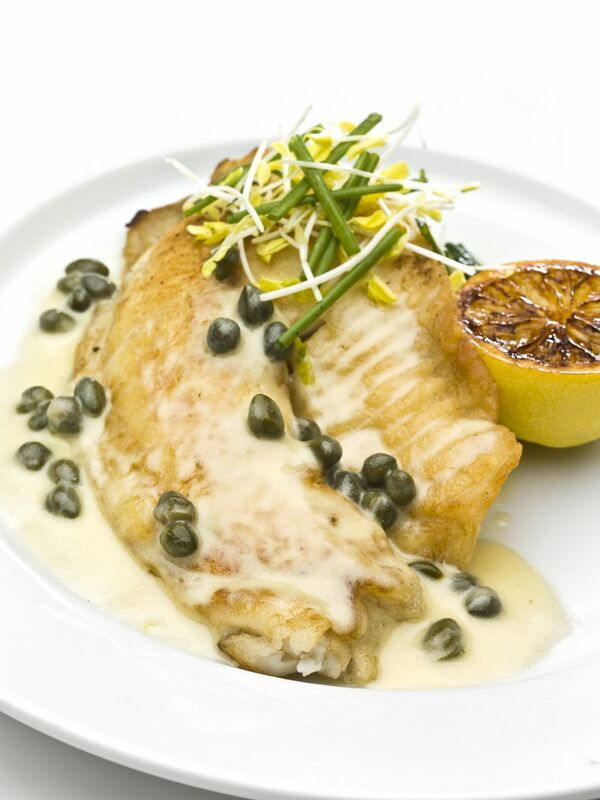 Veal piccata -- lightly pan-fried veal with a lemon, caper and white wine sauce -- is a classic dish. But there's no reason for those who don't eat veal to miss out on a brilliant sauce. Try it with tilapia and you'll wonder why anyone ever put it on veal to begin with. This is a simple dish that looks quite elegant, so it's ideal for those holiday, birthday and special occasion dinners when you want to spend more time with your guests than with your stove -- even if they'll think you've been slaving over it for hours. The trick is to have everything pre-measured and ready to go before you begin because tilapia piccata comes together quickly. Freshly squeezed lemon juice is a must. The shallots, while not strictly traditional, add a bit of sweetness to the lemony sauce. You can add chopped fresh parsley to the sauce at the end or just garnish with a few small leaves. Other mild white fish, such as flounder, sole or whiting, also get a delicious boost with this sauce. Dry the fillets with paper towels and sprinkle both sides with salt and pepper. Spread the flour out on a plate. Heat the olive oil and 1 tablespoon of the butter over medium heat until the butter sizzles. Lightly dredge the fillets in the flour, shake off the excess and put them in the pan. Pan fry the fillets until lightly browned on both sides, about 2 to 3 minutes per side. Remove the fish from the pan and keep it warm. Raise the heat to medium-high and add the wine to the pan, stirring up any browned bits of flour. Add the shallots and cook for 1 to 2 minutes, or until shallots are softened. Stir in the lemon juice and capers and cook 1 minute. Turn off the heat and stir in the remaining tablespoon of butter. Spoon the sauce over the fish and sprinkle with parsley.